Nothing says fall more than apples! 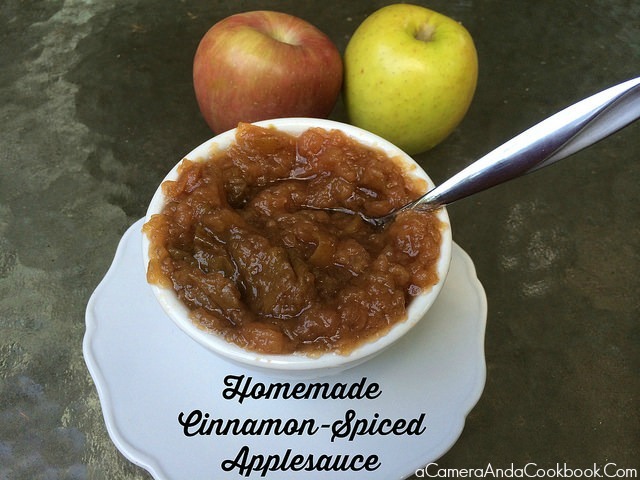 I decided to kick the weekend off with some Homemade Cinnamon Applesauce. For my first time making it, it turned out pretty well. Rob’s Gramma was the first person I ever met who makes her own applesauce. Maybe after a few times of making it, it will be as yummy as hers. 1. Peel and core the apples. 2. Toss them in the crockpot with the other ingredients. 3. Cook on low for about 4 hours. 4. Stir and remove from crockpot. Let cool. Toss them in the crockpot with the other ingredients. Stir and remove from crockpot. Let cool. Yummy, I love cinnamon applesauce! This looks way easier than I had thought it would be. And I bet it would make the house smell amazing. Yum! We are doing an apple theme this month for our preschool and I wanted to do some crockpot apple sauce. I just might use this recipe! 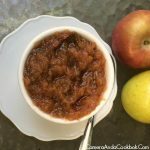 I LOVE cinnamon applesauce, but I didn’t know that you could make it in the crockpot. Pinned–this will definitely be among our fall favorites! That looks so yummy. All of the apple goodies are one of my favorite things about fall.